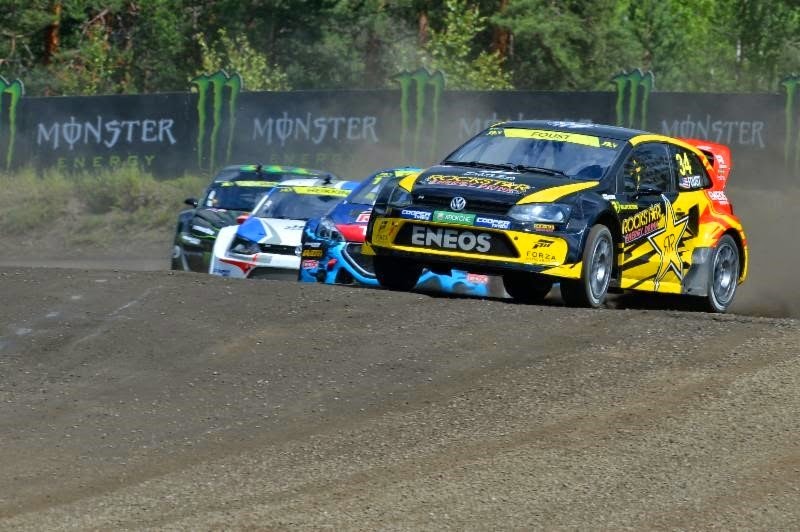 KOUVOLA, Finland (June 29, 2014) - Rockstar Energy Drink driver Tanner Foust returned to the top step of the podium this weekend at World RX of Finland, making it the second year in a row that the American has won the Finnish stop of the championship. "Racing in Finland is always a challenge, especially when it rains" said Foust. "The track is technical and it gets really slimy when it is wet. The key for me was getting a good start and not having to worry about getting covered in somebody else's mud." Foust progressed through the field over two days of competition to win his Semifinal round and line up the Rockstar Energy Drink Volkswagen Polo R in the front row for Sunday's Final. There, he shot off the start and led from wire to wire for his first overseas win this year. The Kouvola track, located about 80 miles northeast of the Finnish capital of Helsinki, features hard landings, high-grip banks, slippery off-camber corners and sharp curbs. 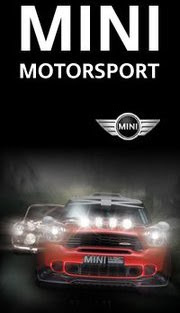 It has a high dirt-to-asphalt ratio, with dirt making up 40 per cent of the racing surface. A deluge of rain on Sunday soaked the course, creating an additional handling challenge when the dirt turned to slick mud. The Volkswagen Polo R that Foust campaigned in Finland was developed for World RX competition this season by Marklund Motorsport. Foust said even in the unpredictable conditions, the team quickly got the car dialed in for competition. "The team nailed the setup," said Foust. "Even when it started to rain, the Rockstar Energy Drink Volkswagen Polo R was really comfortable to drive." The two-time Global Rallycross Champion is running a select season of four events in World RX this year and will next appear in the series at the Canadian round in August. Next month, Foust returns his focus to Global Rallycross competition with the Volkswagen Andretti Rallycross squad for back-to-back-back race weekends in New York, Charlotte and Detroit.